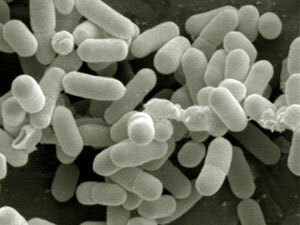 In Listeria monocytogenes are gram-positive rod-shaped bacteria that can multiply aerobically or anaerobically. The culture is best done on blood agar plates. There they formed small gray-white colonies, which can be surrounded by a narrow b-Hamolysezone. Listeria flagella are forming, but not from spore and capsule. In the environment, they are widespread. They are found especially in animal faeces, contaminated water and soil. For most people, they go through the food chain. 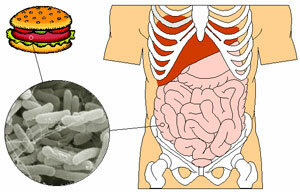 Approximately 10% of healthy people they are detected in the intestine. Their resistance is relatively large. They are relatively resistant to heat and can even at low temperatures (4 C) to survive. Listeria monocytogenes is pathogenic for numerous animal species. In humans, there is no specific clinical picture. The pathogens are classic opportunist. In immunocompetent patients, the infection is usually silent or mild flu-like symptoms. By contrast, the pathogens in patients with severe immune deficiency infection (especially sepsis, encephalitis) cause. Listeriosis during pregnancy can lead to miscarriage or congenital listeriosis. The incidence of serious infections is estimated at six cases per million population per year. Infections usually go from raw milk (cheese), raw or smoked fish sausages. Listeria monocytogenes produces a toxin (listeriolysin), which causes blood agar plates b-hemolysis (see above). The virulence can vary from tribe to tribe. For the pathogenesis of the survival of bacteria in phagocytes and other cells is critical. 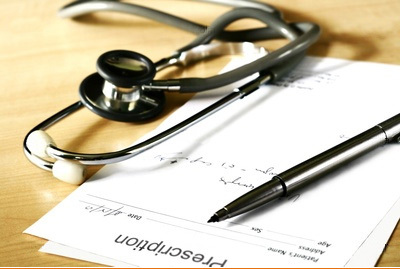 The laboratory diagnosis is based primarily on the detection of pathogens by culture. When test materials are suitable, depending on the location such as blood, cerebrospinal fluid, amniotic fluid, meconium, pus or tissue samples. The cultivation is carried out on blood agar plates or other nutrient demanding. In microscopic preparations of Listeria are difficult to pneumococci and enterococci to be distinguished. Come primarily for the treatment amoxicillin (Amoxypen etc.) and ampicillin (BINOTAL etc.) into consideration. 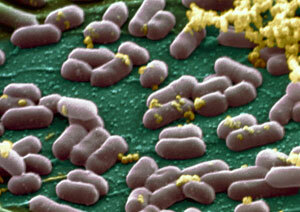 When Listeria meningitis, adults 6-12 g divided into three or four divided doses. In the case of severe infections in combination with an aminoglycoside such as Gentamicin (e.g. Refobacin) treated. Between ampicillin and gentamicin is a strong synergism. In a penicillin allergy, the combination of gentamicin with minocycline (SCID, etc.) is recommended, which has a relatively good penetration into the cerebrospinal fluid. Cephalosporins are ineffective. The duration of treatment depends on the severity of the disease. Take place at the therapy needs of meningoencephalitis, but at least four weeks.